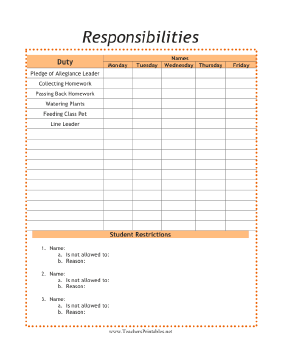 Substitute teachers can learn about student duties and responsibilities for every day of the week with this free, printable school chart. Teachers can fill in duties, although some, such as collecting homework and line leading, are already provided. Restrictions against certain students can be entered at the bottom.